"No man is punishable or can be lawfully made to suffer in body or goods except from a distinct breach of the law established by ordinary courts of the land." A V Dicey. 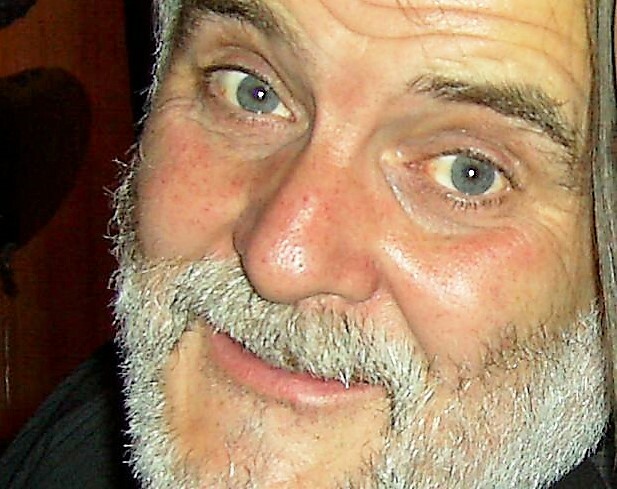 Gentle, kind, peaceful, intelligent but not educated Mr Parnell RIP never committed any crime, as Greater Manchester Police admitted after his death, but his punishment was harsh and prolonged up until his death aged just 58. Mr Parnell RIP adopted two lovely girls from Stockport Council. They are now grown up. They had had a terrible time with their birth parents, and such children take longer to grow up. 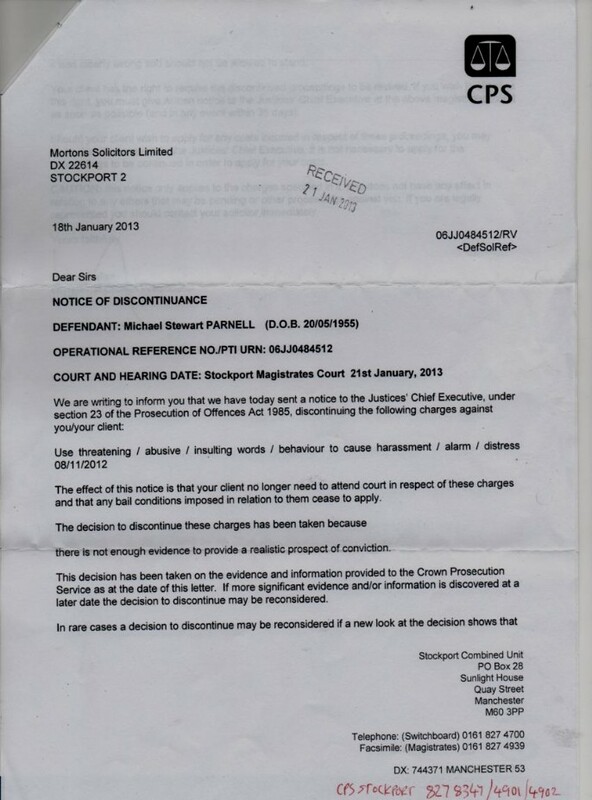 Initially they were receiving excellent counselling from After Adoption but Stockport Council stopped funding this. As the girls grew older they grew more troubled. 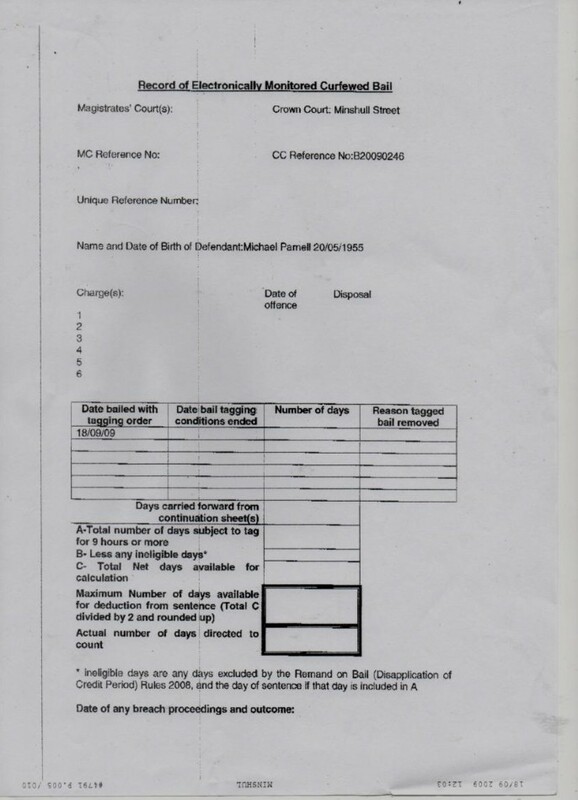 Mr Parnell asked for a decade for his legal right for the counselling for his daughters to be reinstated. Nothing was done. 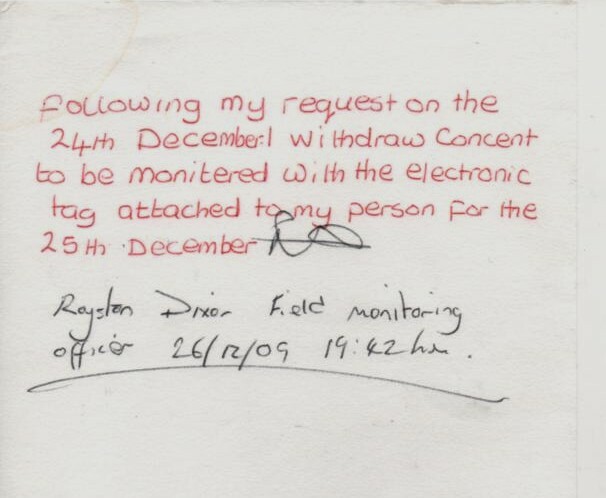 Also, one of the girls had the incorrect details on her official documents so, for example, if he took her to A & E she didn't exist in official records. He asked for this to be put right. Eventually, when he was terminally ill, this was arranged by his LibDem MP Andrew, now Lord Stunell. When nothing was done to help his daughters, Mr Parnell decided to stand on the town hall steps, sometimes night and day, until he received the help his family needed. That help never came. This Council was involved with two horrific cases and following Serious Case Reviews they promised to help people in future who came to them asking for help with vulnerable children. Eventually, the council leader asked why he was being allowed to protest, and that is when the hundreds of custodies, arrests and imprisonments began. 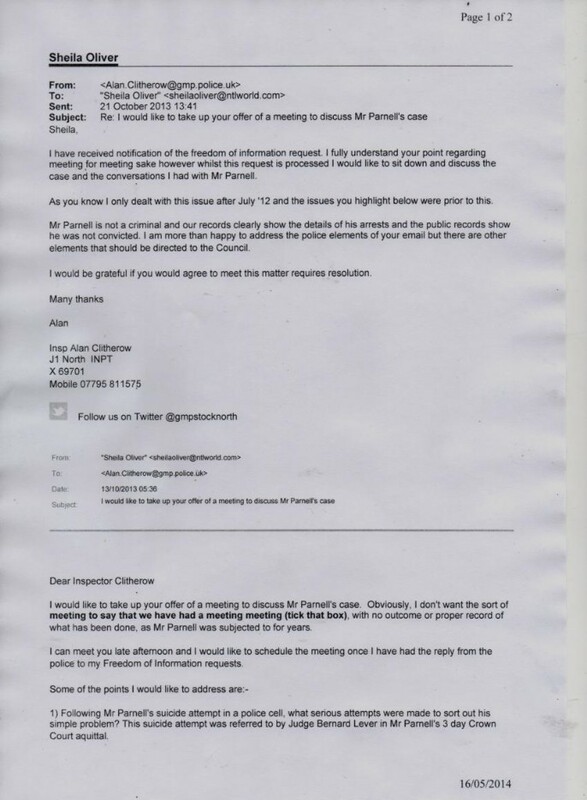 Mr Parnell went to every council meeting when he was not under arrest, in prison or under his years long 8am to 8pm house arrest and sometimes up to midnight, to beg the councillors and officials for help for his family. The help never came. They started inventing crimes so he could continue to be arrested, such as leaving a council meeting before the end. He wasn't allowed to cross the town centre, year after year, he wasn't even allowed to attend a medical appointment. 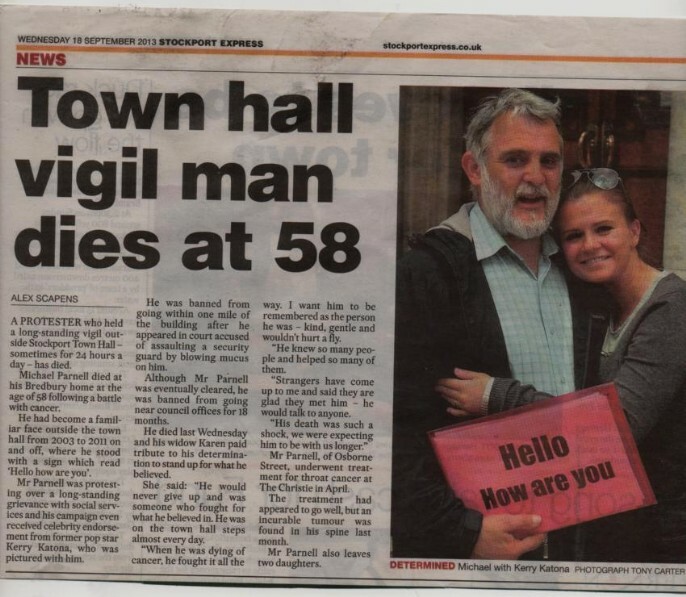 Mr Parnell was dead at 58. 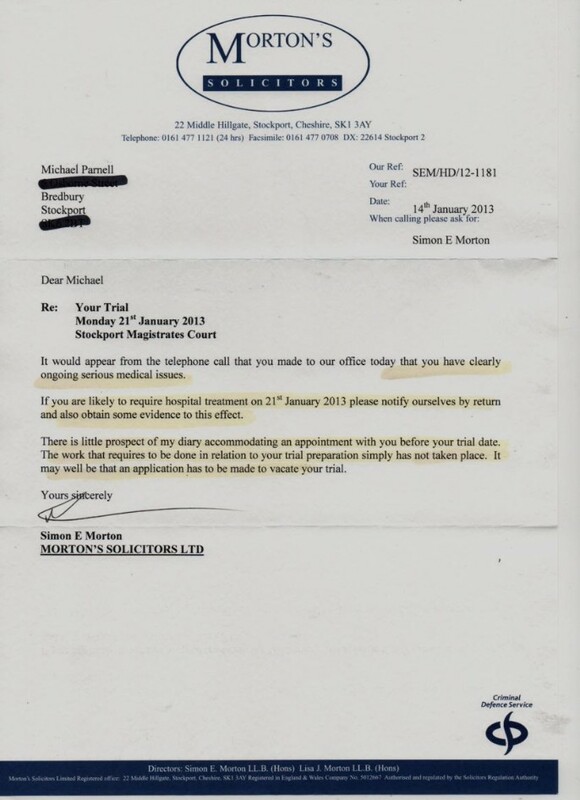 He had to ask the court's permission to visit his solicitor, who was within his exclusion zone. 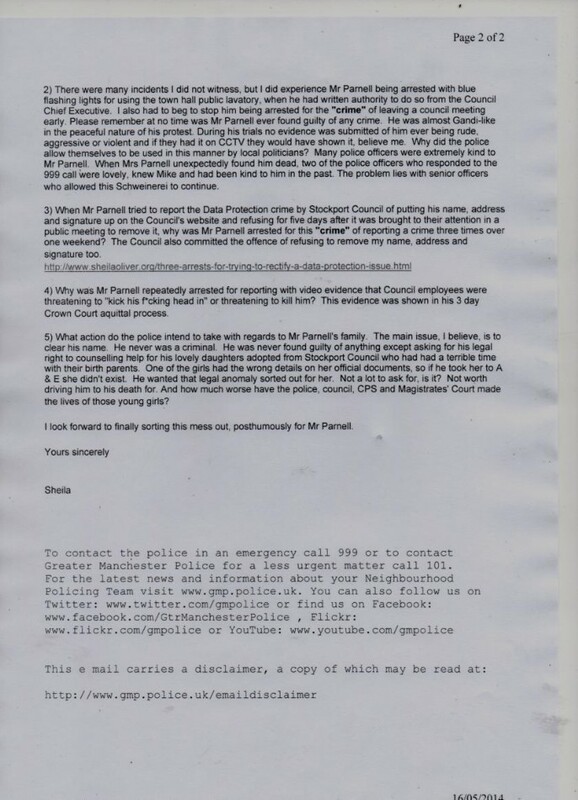 Mr Parnell attempted suicide in a police cell, but even this didn't stop them hounding him. 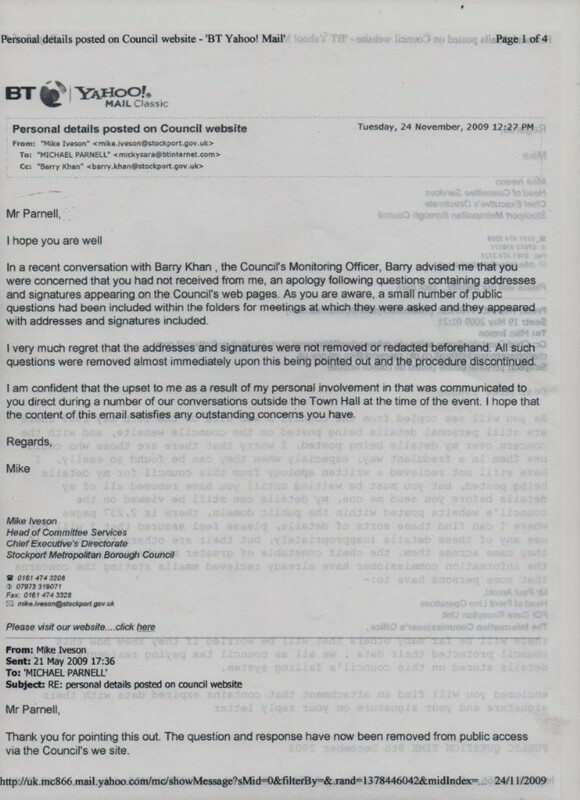 The Council put his name, address and signature up on the Council's website in breach of Data Protection Laws. In trying to get these details removed one weekend, he was arrested three times. 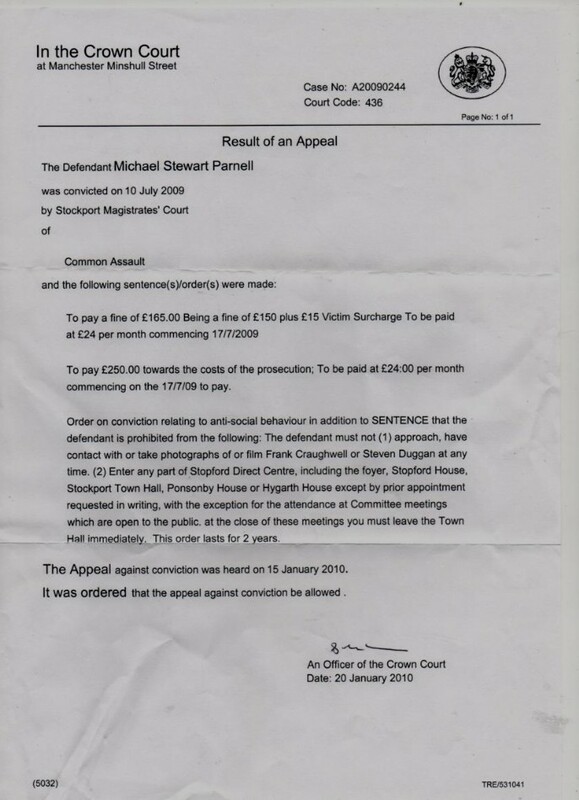 Mr Parnell suffered from Barrett's Oesophagus, a pre-cancerous condition, which he felt was pushed into malignancy by the horrendous stress he was constantly under - in prison, in police cells or under 8am to 8pm house arrest, which meant he couldn't even visit his dentist, or his elderly mother on Christmas Day. 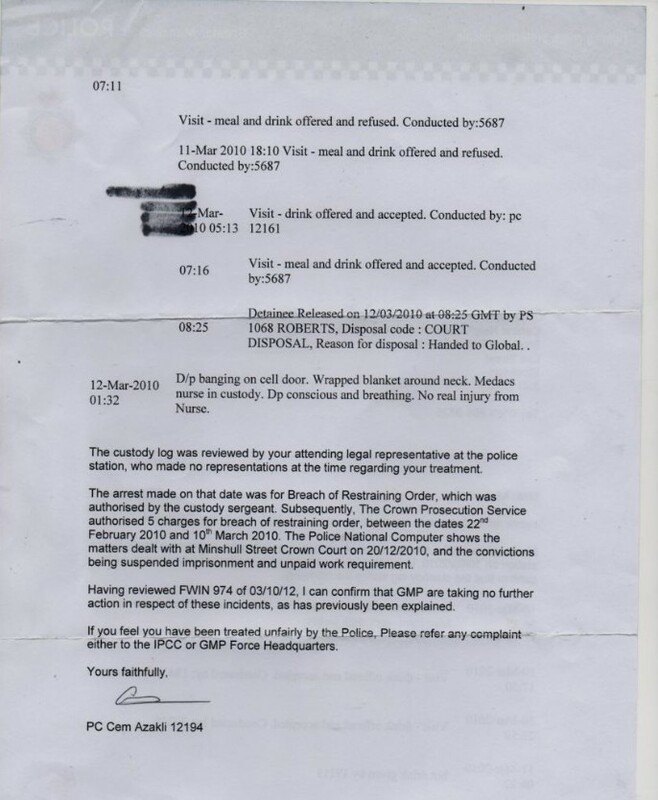 The Leader of the Council, who had been Chair of Greater Manchester Police Authority, sent me a CPS copy of Mr Parnell's bail notice within hours of it being issued. 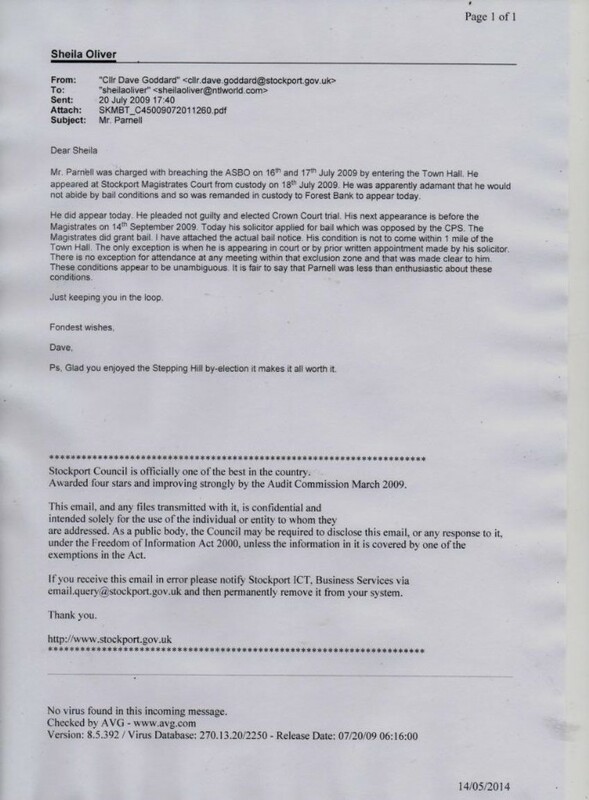 At that time no functioning authority existed for me to act on Mr Parnell's behalf. 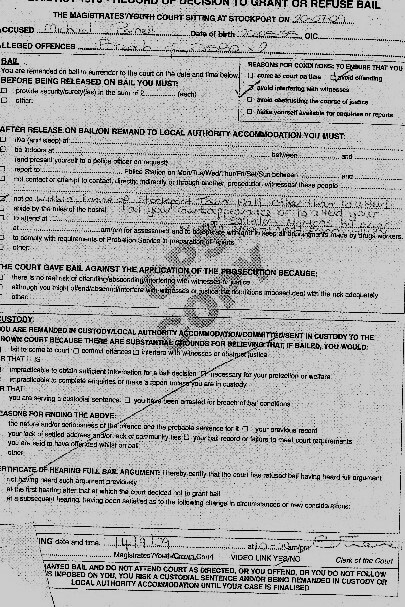 The Council wouldn't accept his request, so why did the Leader sent it to me, and how did he get a CPS copy of the bail notice? When I hounded the Chief Constable on social media about what was going on, eventually the police stopped arresting him, although the ordinary Bobbies often were kind and used common sense whilst dealing with him to their credit. 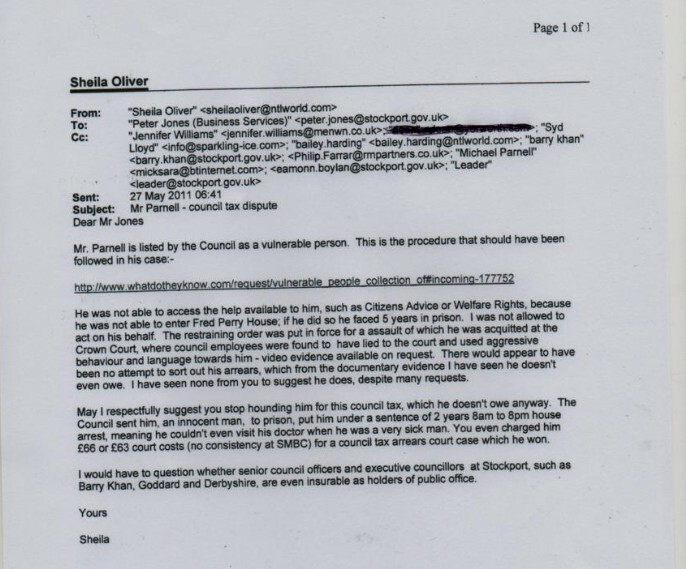 When the police stopped doing the Council's bidding with regards to Mr Parnell, the Council fabricated council tax arrears from previous years. They took money from current years to pay off fictional arrears. 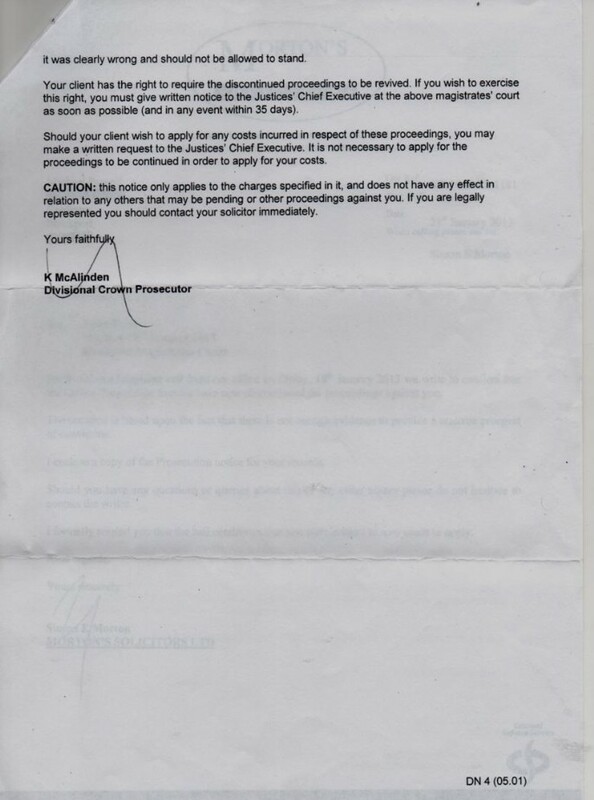 When Mr Parnell tried to tell the Magistrates this, they said they weren't interested in "history". 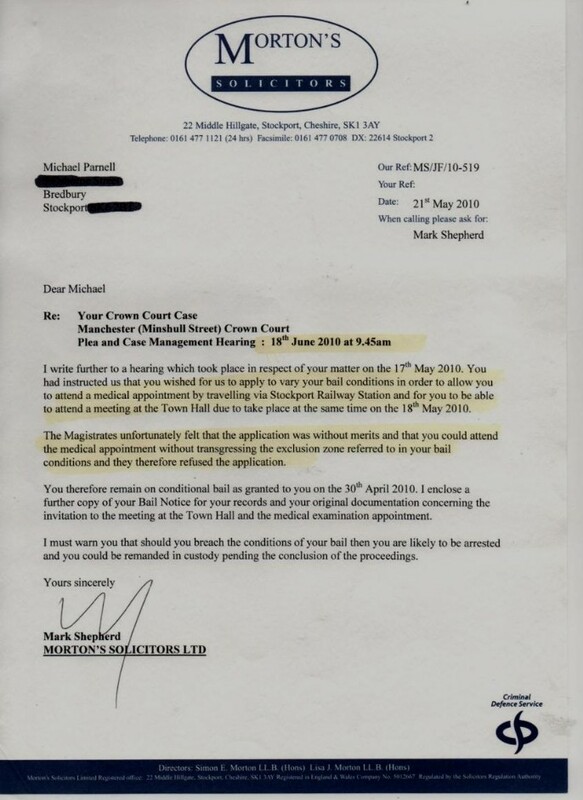 Mr Parnell was acknowledged by Stockport Council to be a vulnerable council taxpayer. I dread to think how they would treat those of us who are more robust. 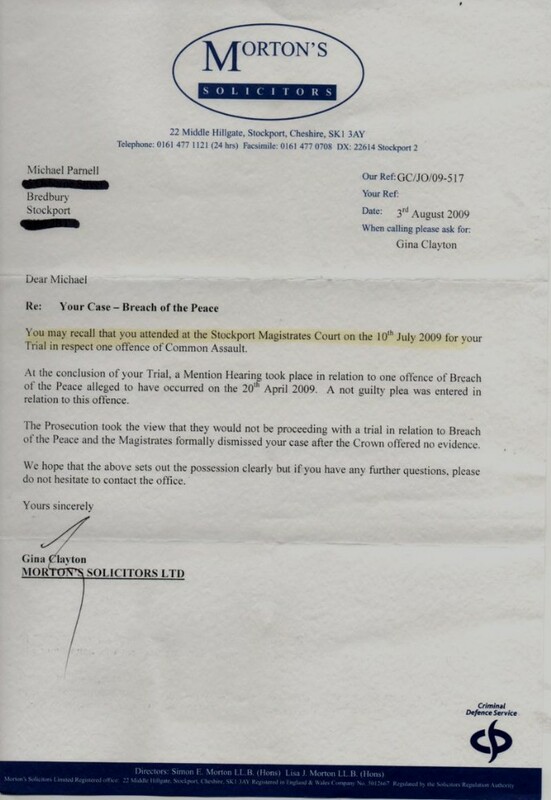 How were the CPS's own tests for prosecution met in this case? They weren't. Mr Parnell was crying when he told me he had Stage 4 oesophageal cancer. 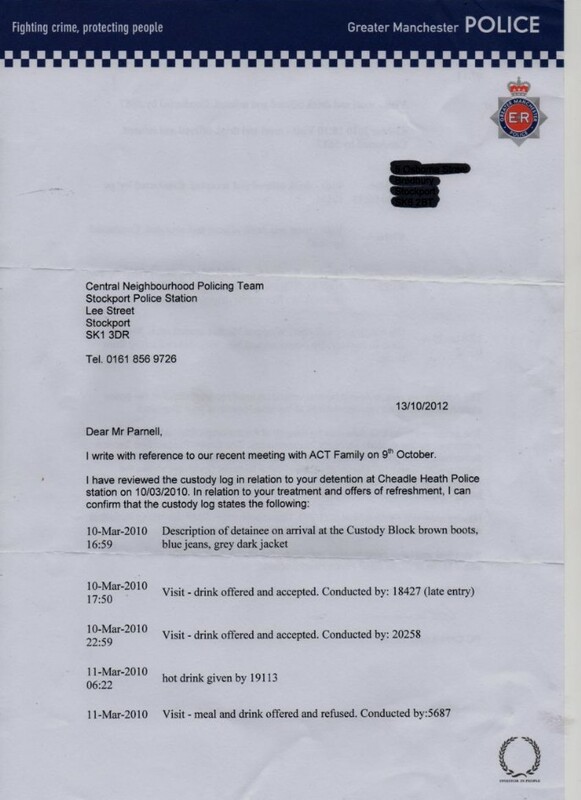 On the day he was due to have his operation, the Council were taking him to court. 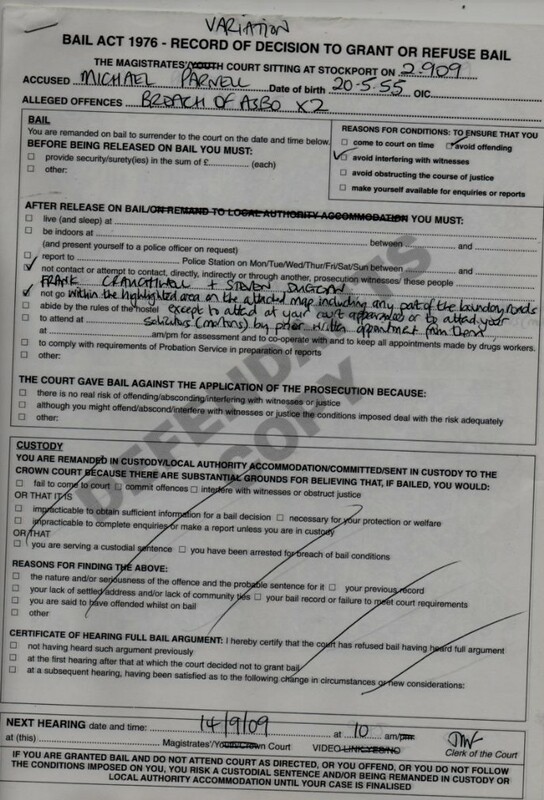 He was frightened if he didn't show up at court he would be sent back to prison. On the actual day his surgery was cancelled due to lack of a surgeon, they took him to court and he was acquitted within 10 minutes. These oppressors knew exactly how sick he was, but they simply didn't care. After his death, the police admitted he had never committed any crime.
" the right to have any life protected, what will be done ?" 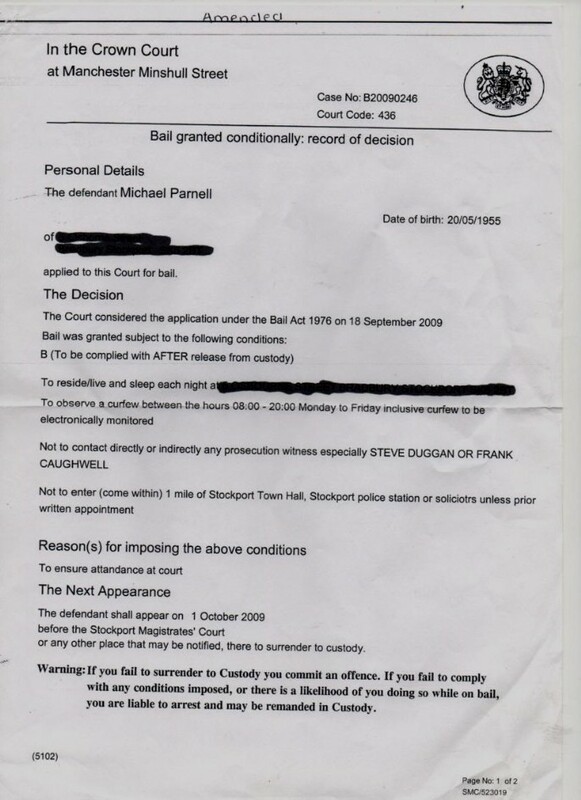 These Stockport Council security guards were allowed to continue making false allegations regarding Mr Parnell RIP until the day he died aged just 58, despite having been found by Judge Bernard Lever to have perjured themselves during Mr Parnell's successful 3 day Manchester Crown Court Appeal. The ruling party LibDem Executive Councillors were made aware of this but just sneered.